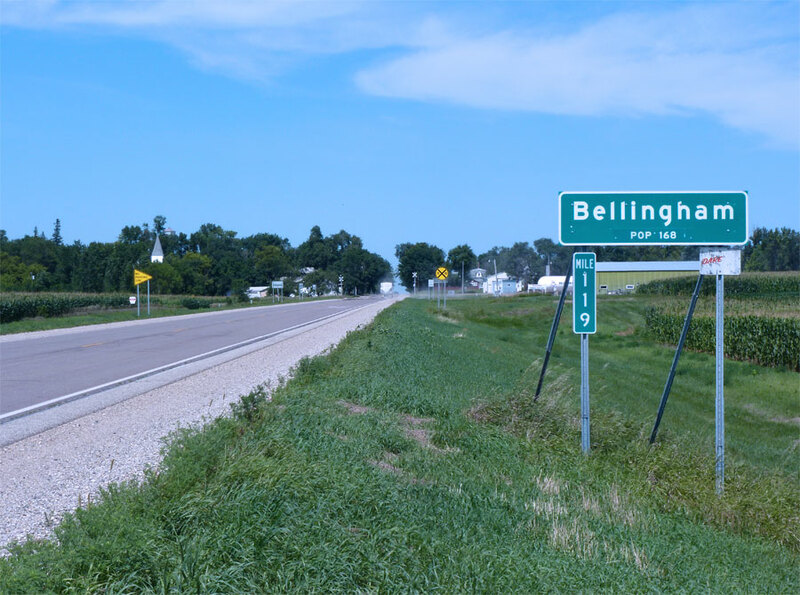 Founded in 1887, Bellingham is located on the western edge of Minnesota in Lac qui Parle County on US Hwy. 75.
and 130 miles south of Fargo, ND. 168 colorful, talented people call our charming little city “home”. Congratulations to Bellingham city on the 125th Anniversary celebration in July of 2012! Congratulations to the committee and thanks for all your time,work,effort planning and preparing for this wonderful event! I am passing the message and website to other friends, classmates and relatives. Best Wishes for a huge turnout for the celebration! From Ruthie (Adelman) and Tom Schuelke, Bellingham,MN.